Want to fill up your MP3 player for free without facing the wrong end of an RIAA lawsuit? These five sites offer DRM-free downloads from exciting artists. Short of "free food" and "free beer," "free music" is one of the sweetest phrases you can hear. But getting tunes gratis doesn't have to mean ending up on the RIAA's Most Wanted list. These five sites will let you easily fatten up your music collection with tracks that creators and recording labels are giving away--all in DRM-free, MP3 format. An extra bonus: None of these sites require an e-mail address or any kind of registration. What's the catch? Well, don't expect to find much top-40 material here; the four major labels are still pretty tight-fisted with their properties. But that's not really much of a catch: Saying good-bye to Mariah Carey and Madonna means saying hello to independent artists (some of whom have been in the business just as long) who will round out your most-played list quite nicely. Some audio player manufacturers will happily give you music, on the condition that you buy their product first. German company Venzero is a bit more generous, having launched the Venzero Mixtape: a rotating collection of MP3 tracks by "exquisite bands" that anybody can download. Or at least that's the theory. Since launching the Venzero Mixtape, the company has changed the lineup only once. The nine tracks that make up the current mixtape are a pleasure to listen to, however, so even if Venzero never gets around to picking up where it left off, you still come out ahead. My favorite brick-and-mortar record stores--I can call them that because they still have plenty of vinyl--not only offer a wide variety of music but also have staff who can talk intelligently about what they offer. Even when I walk in just to say hi, I usually end up walking out with a new CD and new knowledge. The closest experience to that in the online world is Epitonic, where you don't get just free music--you get free schooling too. The site features extensive writeups on all the featured artists (including links to similar acts), streaming audio, and at least one free MP3 per album. Unfortunately, Epitonic hasn't really been updated for almost two years. But the site has enough content that you can still spend hours, if not days, exploring new musical avenues. Like other independent music labels, Mush Records has artists who cover a lot of stylistic ground (they describe their range as "electronic instrumental, underground hip-hop, downtempo, abstract hip-hop, experimental, indie-rock, jazz-based grooves, turntablist compositions, electronic pop, saturated folk, left-field, dreamy stuff, more versions of hip-hop, and on and on"). And Mush is not afraid of giving away music and videos for free, since the company expects visitors' interest to be piqued enough for them to spend a few dollars on a CD. Unlike Epitonic, Mush Records separates the areas where you learn about artists from where you download media. On the one hand, it makes music discovery a little less organic. On the other hand, the site's extensive archive of articles written about their artists gives a more textured look at their work. Either way, a collection of 70-plus free tracks is nothing to sneeze at. If you're a musician, iSound seems like a dream come true: The site provides tools for artists to create their own pages to promote and sell their music online. 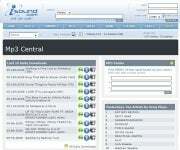 If you're a music fan, iSound seems like a potential nightmare--you'd expect to have to wade through plenty of questionable material to find one gem. Both of those perceptions are accurate, but what separates iSound from similar online services are three features that let music fans quickly zero in on what they like. First is a search tool that finds bands based on their similarity to three artists you enter; second is a list of the 200 most popular tracks; and third is an icon that tells you if a band has any downloadable MP3s before you click through to their page. Using these tools I easily racked up more hits than misses. The top two reasons I love going to concerts are the feeling of camaraderie (I'm surrounded by people who are into the same music, though I run the risk of a Coke spilling on my shirt) and the chance to hear my favorite songs performed outside of a studio setting, sometimes arranged in new and creative ways. The next best thing to being there is a concert recording, but relatively few bands make recordings available for sale, and many bootlegs are kind of iffy soundwise. Then there are the bands that don't mind exploring the gray area in between. 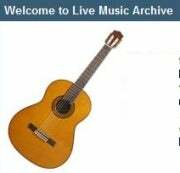 The Live Music Archive features high-quality concert recordings from bands that are cool with noncommercial distribution of their performances. Dip into the extensive roster, and you'll find names like Robyn Hitchcock, Billy Bragg, and the godfathers of sanctioned bootlegs, the Grateful Dead. Nice post!! All is working well for me. I also prefer tubidy tubidy.tube. Good for free music. Great sites for convert youtube to mp3!! You can also add greenmp3. It is best for greenmp3.live songs download. There are some intriguing due dates in this article yet I don't know whether I see every one of them focus to heart. There is some legitimacy however I will grab hold feeling till I investigate it further. Great 1 dollar domain article, thanks and we might want more!